Your caring Vancouver, WA Dentist and the staff of Mount Vista Family Dental care for you and your family with the most advanced and comfortable dentistry available. Schedule your appointment today! We care about you and your family, and we’re here to provide you with the safest, most comfortable dental experience possible. Feel confident in your smile again! Our dental implants can improve your quality of life in ways you never imagined. Using cosmetic treatments such as whitening, Botox and more, we can help give you the dazzling smile of your dreams! Save time, experience more comfort and get better results with our advanced dental techniques and same-day services! Are you new to Mount Vista Family Dental? If so, choose one of our fantastic New Patient Offers to boost your smile! Solea’s cutting-edge technology without noise, drills, or needles. We’ll get you in and out of the chair in no time. Your smile will shine in no time! In just one visit to Mount Vista Family Dental, you can have custom CEREC® ceramic restorations. At Mount Vista Family Dental, we use advanced technology and procedures to make your dental care easy, comfortable and less time-consuming, minimizing any negative impact that professional dental care may have on patients and the environment. To ensure your comfort and earn your trust, we strive to understand the needs of you and your family, and aim for painless perfection. Dr. Joshua Hiller received his undergraduate from BYU in Microbiology, then received his graduate degree in 2006 from the University of Minnesota School of Dentistry. He has been practicing dentistry in Vancouver, WA since 2010. 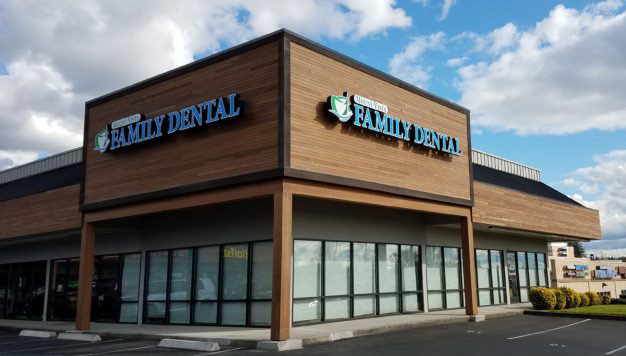 He recently opened a new practice in Mount Vista (near Salmon Creek) and is prepared to meet your all your dental needs. Read more to learn about Dr. Joshua Hiller, or see our testimonials page to find out what our wonderful patients are saying about us!